The United States Army is spending millions of dollars in experimental exoskeleton technology to make soldiers stronger. It is what experts say is part of a push into cutting-edge equipment for a new generation of "super-soldiers." Lockheed Martin Corporation is developing the technology. The company is using a license from B-Temia Inc., a Canada-based business. B-Temia first developed the exoskeletons to help people who had difficulty walking because of medical conditions like multiple sclerosis. Worn over clothing, the battery-operated equipment uses several sensors, artificial intelligence and other technology to aid natural movements. For the U.S. military, the appeal of such technology is clear. Currently, when soldiers are sent to war zones, their bodies must carry a lot of heavy equipment, such as body armor and advanced radios. Altogether, that can weigh anywhere from 40 to 64 kilograms, when the suggested weight limit is just 23 kilograms. "That means when people...show up to the fight, they're fatigued," said Paul Scharre of the Center for a New American Security. Scharre has helped lead a series of studies on exoskeletons and other advanced equipment. The biggest problem "with infantry troops is they're carrying too much weight," he said. 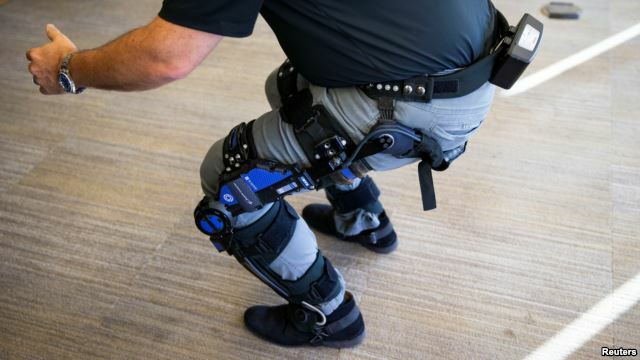 Lockheed Martin announced last week it won a $6.9 million award from the U.S. Army Natick Soldier Research, Development and Engineering Center to study and make the exoskeleton. It is called ONYX. 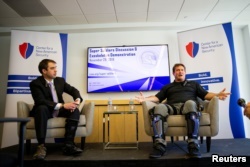 Keith Maxwell, Senior Product Manager of Exoskeleton Technologies at Lockheed Martin, right, speaks alongside Paul Scharre, Senior Fellow and Director of the Technology and National Security Program at the Center for a New American Security. Keith Maxwell is with Lockheed Martin Missiles and Fire Control. He said people who wore the exoskeletons showed far more strength than other people in his company's tests. Samuel Bendett is with the Center for Naval Analyses , a federally financed research and development center. He said Russia and China were also investing in exoskeleton technologies. Russia is working on several kinds of exoskeletons, including one tested in Syria, Bendett said. The exoskeleton is part of a larger look at next-generation technologies, including using robotic soldiers to help resupply the military in war zones. The Reuters news agency reported this story. 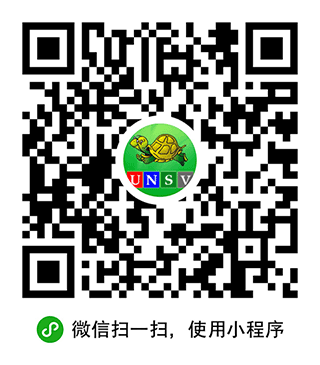 It was adapted for VOA Learning English by Susan Shand. The editor was George Grow. exoskeleton – n. a firm outer covering for the body that provides both support and protection.